Рассмотрены вопросы эпидемиологии, морфологии и клинических проявлений диабетической энцефалопатии. Показаны различия диабетической энцефалопатии при сахарном диабете 1-го и 2-го типов. Представлены методы патогенетического лечения диабетической энцефалопатии. 1. Sima A.A. Encephalopathies: the emerging diabetic complications. Acta Diabetol 2010;47(4):279–93. 2. Чуйко М.Р., Бодыхов М.К., Скворцова В.И. Характеристика и особенности течения энцефалопатии при инсулинзависимом сахарном диабете. Журн неврол психиатр им. С.С. Корсакова 2010;110(5):4–8. 3. Строков И.А., Захаров В.В., Строков К.И. Диабетическая энцефалопатия. Неврол, нейропсихиатр, психосом 2012;(2):30–9. 4. Miles W.R., Root H.F. Psychological tests applied in diabetic patients. Arch Intern Med 1922;30:767–77. 5. Ott A., Stolk R.P., van Harskamp F. et al. Diabetes mellitus and the risk of dementia: The Rotterdam Study. Neurology 1999;53(9):1937–41. 6. Arvanitakis Z., Wilson R.S., Bienias J.L. et al. Diabetes mellitus and risk of Alzheimer disease and decline in cognitive function. Arch Neurol 2004;61(5):661–6. 7. Xu W.L., Qui C.X., Wahlin A. et al. Diabetes mellitus and risk of dementia in the Kungsholmen project: a 6-year follow-up study. Neurology 2004;63(7):1181–6. 8. Kumari M., Marmot M. Diabetes and cognitive function in a middle-aged cohort: findings from the Whitehall II study. Neurology 2005;65(10):1597–603. 9. Worrall G., Moulton E., Briffett E. Effect of type II diabetes mellitus on cognitive function. J Fam Pract 1993;36(6):639–43. 10. Fontbonne A., Berr C., Ducimetiere P., Alperovitch A. Changes in cognitive abilities over a 4-year period are unfavorably affected in elderly diabetic subjects: results of the Epidemiology of Vascular Aging Study. Diabetes Care 2001;24(2):366–70. 11. van Harten B., Oosterman J., Muslimovic D. et al. Cognitive impairment of MRI correlates in the elderly patients with type 2 diabetes mellitus. Age Ageing 2007;36(2):164–170. 12. Hassing L.B., Grant M.D., Hofer S.M. et al. Type 2 diabetes mellitus contributes to cognitive decline in old age: a longitudinal population-based study. J Int Neuropsychol Soc 2004;10(4):599–607. 13. Komulainen P., Lakka T.A., Kivipelto M. et al. Metabolic syndrome and cognitive function: a population-based follow-up study in elderly women. Dement Geriatr Cogn Disord 2007;23(1):29–34. 16. 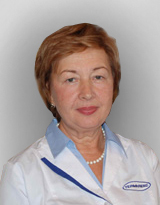 Pinkston J.B., Alekseeva N., Gonzalez Toledo E. Stroke and dementia. Neurol Res 2009;31(8):824–31. 17. Чугунов А.В., Семенова И.В. Сахарный диабет и когнитивные нарушения. Сах диабет 2008;(1):61–8. 19. diabetes and its treatment on cognitive function. N Engl J Med 2007;356(18):1842–52. 20. Sima A.A., Zhang W., Muzik O. et al. Sequential abnormalities in type 1 diabetic encephalopathy and the effects of C-peptide. Rev Diabet Stud 2009;6(3):211–22. 21. Brismar T., Hyllienmark L., Ekberg K., Johansson B.L. Loss of temporal lobe beta power in young adults with type 1 diabetes mellitus. Neuroreport 2002;13(18):2469–73. 22. Peila R., Rodriguez B.L., Launer L.J. ; Honolulu-Asia Aging Study. Type 2 diabetes, APOE gene, and the risk for dementia and related pathologies: the Honolulu-Asia Aging Study. Diabetes 2002;51(4):1256–62. 23. Etgen T., Sauder D., Bichel H. et al. Cognitive decline: the relevance of diabetes, hyperlipidaemia and hypertension. Br J Diab Vasc Dis 2010;10(3):115–22. 24. Hassing L.B., Hofer S.M., Nilsson S.E. et al. Comorbid type 2 diabetes mellitus and hypertension exacerbates cognitive decline: evidence from a longitudinal study. Age Ageing 2004;33(4):355–61. 25. Posner H.B., Tang M.X., Luchsinger J. et al. The relationship of hypertension in the elderly to AD, vascular dementia, and cognitive function. Neurology 2002;58(8):1175–81. 26. Tezapsidis N., Johnston J.M., Smith M.A. et al. Leptin: a novel therapeutic strategy for Alzheimer’s disease. J Alzheimer Dis 2009;16(4):731–40. 27. Nourhashémi F., Deschamps V., Larrieu S. et al. ; PAQUID Study. Personnes Agées Quid. Body mass index and incidence of dementia: the PAQUID study. Neurology 2003;60(1):117–9. 28. Henderson V.W., Guthrie J.R., Dennerstein L. Serum lipids and memory in a population based cohort of middle age women. J Neurol Neurosurg Psychiatry 2003;74(11):1530–5. 29. de la Monte S.M., Wands J.R. Alzheimer’s disease is type 3 diabetesevidence reviewed. J Diabetes Sci Technol 2008;2(6):1101–13. 30. Inoguchi T., Li P., Umeda F. et al. High glucose level and free fatty acid stimulate reactive oxygen species production through protein-kinase C-dependent activation of NAD(P)H oxidase in cultured vascular cells. Diabetes 2000;49(11):1939–45. 31. Li Z.G., Zhang W., Sima A.A. Alzheimer-like changes in rat models of spontaneous diabetes. Diabetes 2007;56(7):1817–24. 32. Li Z.G., Zhang W., Sima A.A. C-peptide enhances insulin-mediated cell growth and protection against high glucose induced apoptosis in SH-SY5Y cells. Diabetes Metab Res Rev 2003;19(5):375–85. 33. Hayden M.S., Ghosh S. Signaling to NF-kappaB. Genes Dev 2004;18(18):2195–224. 34. Brunton S. Beyond glycemic control: treating the entire type 2 diabetes disorder. Postgrad Med 2009;121(5):68–81. 35. Chen G.J., Xu J., Lahousse S.A. et al. Transient hypoxia causes Alzheimer-type molecular and biochemical abnormalities in cortical neurons: potential strategies for neuroprotection. J Alzheimers Dis 2003;5(3):209–28. 36. Farris W., Mansourian S., Chang Y. et al. Insulin-degrading enzyme regulates the levels of insulin, amyloid beta-protein, and the beta-amyloid precursor protein intracellular domain in vivo. Proc Natl Acad Sci USA 2003;100(7):4162–7. 37. Ehehalt R., Keller P., Haass C. et al. Amyloidogenic processing of the Alzheimer beta-amyloid precursor protein depends on lipid rafts. J Cell Biol 2003;160(1):113–23. 38. Refolo L.M., Malester B., LaFrancois J. et al. Hypercholesterolemia accelerates the Alzheimer’s amyloid pathology in a transgenic mouse model. Neurobiol Dis 2000;7(4):321–31. 39. Jurevics H., Morell P. Cholesterol for synthesis of myelin is made locally, not imported into brain. J Neurochem 1995;64(2):895–901. 40. Sima A.A., Kamiya H. Is C-peptide replacement the missing link for successful treatment of neurological complications in type 1 diabetes? Curr Drug Targets 2008;9(1):37–46. 41. Sima A.A., Li Z.G. The effect of C-peptide on cognitive dysfunction and hippocampal apoptosis in type 1 diabetic rats. Diabetes 2005;54(5):1497–505. 42. Matsui T., Ramasamy K., Ingelsson M. et al. Coordinated expression of caspase 8, 3 and 7 mRNA in temporal cortex of Alzheimer disease: relationship to formic acid extractable abeta42 levels. 43. J Neuropathol Exp Neurol 2006; 65(5):508–15. 44. Northam E.A., Anderson P.J., Jacobs R. et al. Neuropsychological profiles of children with type 1 diabetes 6 years after disease onset. Diabetes Care 2001;24(9):1541–6. 45. Northam E.A., Rankins D., Lin A. et al. Central nervous system function in youth with type 1 diabetes 12 years after disease onset. Diabetes Care 2009;32(3):445–50. 46. Ryan C.M. Why is cognitive dysfunction associated with the development of diabetes early in life? The diathesis hypothesis. Pediatr Diabetes 2006;7(5):289–97. 47. Fox M.A., Chen R.S., Holmes C.S. Gender differences in memory and learning in children with insulin-dependent diabetes mellitus (IDDM) over a 4-year follow-up interval. J Pediatr Psychol 2003;28(8):569–78. 48. Austin E.J., Deary I.J. Effects of repeated hypoglycemia on cognitive function: a psychometrically validated reanalysis of the diabetes control and complications trial data. Diabetes Care 1999;22(8):1273–7. 49. Ho M.S., Weller N.J., Ives F.J. et al. Prevalence of structural central nervous system abnormalities in early-onset type 1 diabetes mellitus. J Pediatr 2008;153(3):385–90. 50. Musen G., Lyoo I.K., Sparks C.R. et al. Effects of type 1 diabetes on gray matter density as measured by voxel-based morphometry. Diabetes 2006;55(2):326–33. 51. Salem M.A., Matta L.F., Tantawy A.A. et al. Single photon emission tomography (SPECT) study of regional cerebral blood flow in normoalbuminuric children and adolescents with type 1 diabetes. Pediatr Diabetes 2002;3(3):155–62. 52. Perantie D.C., Wu J., Koller J.M. et al. Regional brain volume differences associated with hyperglycemia and severe hypoglycemia in youth with type 1diabetes. Diabetes Care 2007;30(9):2331–7. 53. Malone J.I., Hanna S., Saporta S. et al. Hyperglycemia not hypoglycemia alters neuronal dendrites and impairs spatial memory. Pediatr Diabetes 2008;9(6):531–9. 54. Hoffman W.H., Artlett C.M., Zhang W. et al. Receptor for advanced glycation end products and neuronal deficit in the fatal brain edema of diabetic ketoacidosis. Brain Res 2008;1238:154–62. 55. Biessels G.J., Kamal A., Urban I.J. et al. Water maze learning and hippocampal synaptic plasticity in streptozotocin-diabetic rats: effects of insulin treatment. Brain Res 1998;800(1):125–35. 56. Kamijo M., Cherian P.V., Sima A.A. The preventive effect of aldose reductase inhibition on diabetic optic neuropathy in the BB/W-rat. Diabetologia 1993;36(10):893–8. 57. Balakrishnan S., Mathew J., Paulose C.S. Cholinergic and glutamergic receptor functional regulation in long-term, low dose somatotropin and insulin treatment to ageing rats: rejuvenation of brain function. Mol Cell Endocrinol 2010;314(1):23–30. 58. Conner J.M., Franks K.M., Titterness A.K. et al. NGF is essential for hippocampal plasticity and learning. J Neurosci 2009;29(35):10883–9. 61. Камчатнов П.Р. Возможности применения экстракта гинкго билоба (мемоплант) в неврологической практике. Журн неврол и психиатр 2010;110(5):51–6. 62. Камчатнов П.Р. Экстракт Гинкго билоба EGb 761® – современные возможности клинического применения. М.: Изд-во ГУП РТ «ИИЦ УДП РТ», 2012.